There are scores of apps for restaurants. Some allow you to check-in, others are for splitting tabs or for making an order. ChopChop, another hospitality app that recently launched in several restaurants in Cyprus, goes for a full stack approach and uses Estimote Beacons to enable all of that. ChopChop aims to make dining as smooth as possible, so that can just enjoy food the and company. The moment you enter a restaurant that works with ChopChop, the app will discover an Estimote Beacon and send you a welcome message. It can also track your location in real time, so when you pick your table, ChopChop will record the table’s number. The team behind the app has developed a custom algorithm on top of Estimote SDK to make table detection more accurate. You can also use the app to order food. It will automatically handle payment, too. You only install ChopChop and don’t worry about anything. Our main priority was to simplify the process and not just come up with another restaurant app. We wouldn't be able to do this without beacons. 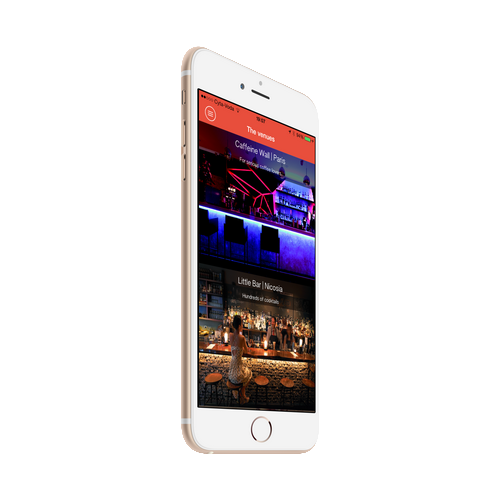 Moreover, Estimote Beacons allow the addition of new features such as tracking how busy a bar is for example. We are able to explore and play around with a lot of new and exciting ideas. says Polis Pilavas, founder of ChopChop. ChopChop is gaining traction on Cyprus and they’re already gearing up for an international launch by the end of the year. If you want to read other success stories with beacon-based restaurant apps, check out Wisely and Close.by.